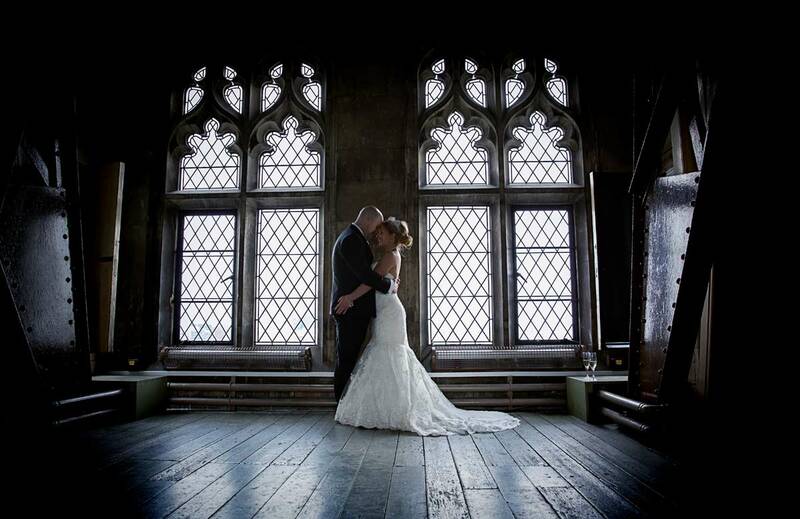 Married at Tower Bridge then on to The Dickens Inn! We have written about the special and historic feel of a Tower Bridge wedding many times, and showcased a great deal of images of couples and guests on or near the bridge itself. For this article though we thought we would share a few images telling some of the inside story of a wedding day on one of London and the world’s most famous landmarks. We are sure that Tower Bridge is probably one of those places that although it is available to explore for a fee to the general public, that many Londoners have not taken the internal tour of this magnificent feat of Victorian engineering themselves. 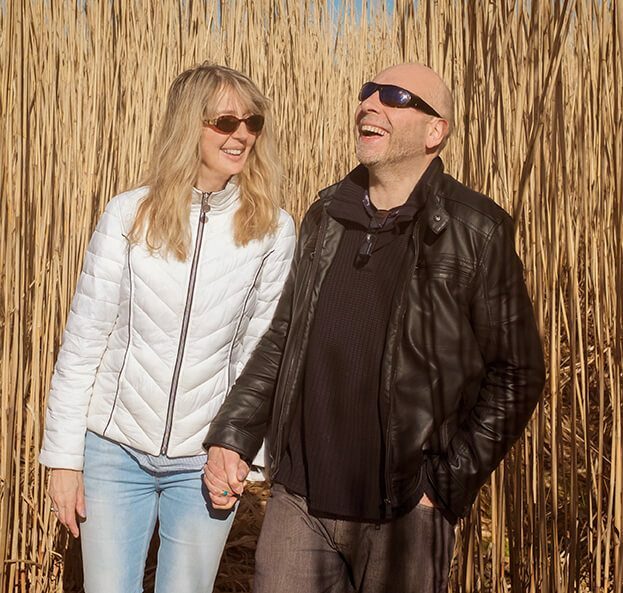 While hundreds of thousands of tourists to the capital have enjoyed it, most of us haven’t, and quite honesty nor had myself and Joanna before we started photographing London weddings there. The very first time we shot a wedding on this landmark it was for a civil partnership in The Bridge Masters Quarters on the south side of Tower Bridge. This is a very intimate but lovely space for a ceremony that can really accommodate no more than about thirty or so people. It was certainly very cramped and I’m not too sure if you can get married there at the moment. For 2015 onwards the place to have your civil wedding ceremony is right in the centre of the bridge in the North Tower Lounge. This is a really interesting and quirky space. 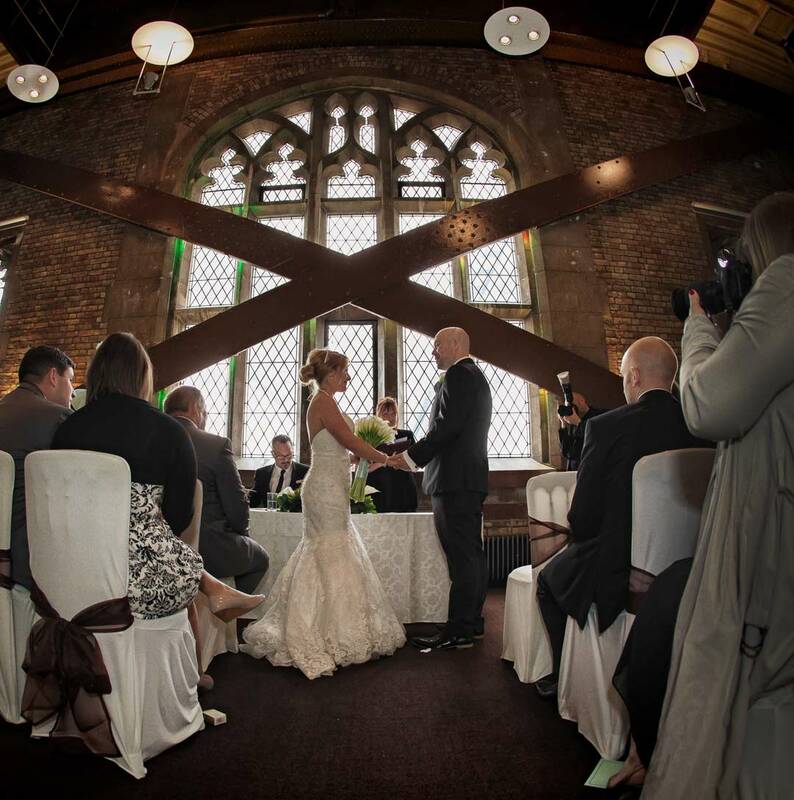 As you can see from the included ceremony wedding photo from Suzie and Damian’s recent wedding, that we are focussing on here, there is an incredible metal support cross that goes across the beautiful floor to ceiling Victorian windows here. Once again it’s a pretty intimate space but it does have a larger capacity for anywhere from twenty to fifty wedding guests. There is a bar in the ceremony room and the onsite catering is very good too. Access to the lounge is from a private lift that is not used by general tourists visiting other parts of the bridge and it’s walkways which is a bonus. After the bride and groom are married and the wedding guests are enjoying champagne and canapés, the newlyweds are allowed access to areas of the bridge that nobody but selected staff usually get to see. That area is the very top and parapets of the north Tower itself. It uses quite steep spiral stairs to get there, not something that is easy in a wedding dress, but it is certainly worth it! There is an empty wooden floored room with more of Tower Bridge’s fantastic windows, but this time the space is uncluttered by any distractions. Four small doors in each corner of the room lead to the parapet walls and fantastic views of central London from every side. My personal favourite is the one that overlooks the Tower of London and is one of many we have decided to feature on this blog post. It’s a very narrow and tight space and it is not for anyone with a fear of heights, but it is an experience that just adds to the special event that is a Tower Bridge wedding day. 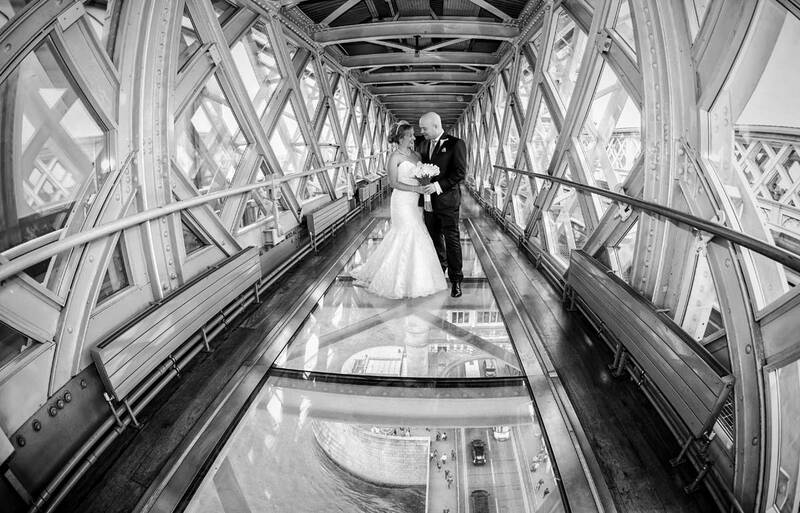 Now as a bonus in the walkways since January 2015 there is reinforced viewing glass in some of the floor that allows you to see the view directly below the bridge, and is highlighted in the featured wedding image here. It is also great for testing out whether you suffer from vertigo or not! For Suzie and Damian after these shots it was back to the north Tower lounge for some nibbles and drink with the rest of the wedding party, before setting off to the reception at the Dickens Inn round the corner at St Katherine’s Dock. You can of course elect to have your reception in a walkway of the bridge too, but one of the bonuses of having it nearby is that you get to be a celebrity with the general public as you walk with your wedding party across Tower Bridge. You will be photographed and applauded all the way across! There you go, a little of the inside story of a big day celebrated on an iconic landmark, and captured by David and Joanna your London wedding photographers.